It’s time to go down memory lane as the 2015 Stanley Cup Playoffs get ready to begin. Not only does each of the match-ups in the playoffs provide a chock-full of headlines derived from the play on the ice this season, almost each series in both conferences should evoke memories of previous series and endless drama of yesteryear between the combatants. A Lot Of Sports Talk decided that to begin our coverage of the 2015 NHL playoffs, we would preface each playoff series preview by quickly reliving a dramatic series between the teams/franchises/cities from the past, in the hopes that the latest edition of the series plays out like the ones from hockey’s past. After our earlier preview of the Western Conference, here are our flashbacks – and predictions – for the first-round series in the Eastern Conference. 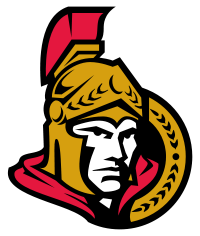 Despite being in the same conference and in neighboring provinces, Ottawa and Montréal have only met once in the Stanley Cup Playoffs – well, that’s if you don’t count the 1928 Canadian Division Semifinals between the original Ottawa Senators franchise and the Montreal Maroons. In the strike-shortened season of 2013, the Canadiens won the Northeast Division, but proved to be no match vs. the Senators, who used a dramatic Game 4 victory to put a three-games-to-one stranglehold on the series. That game saw the Canadiens score two second-period goals to take the lead, only for the Sens to score two late third-period goals, including one from Cory Conacher on a goal-mouth scramble with 22.6 seconds remaining to force overtime. On that goal, Montréal keeper Carey Price suffered a lower body injury, forcing him out of the overtime, as well as the rest of the series). Kyle Turris scored on an odd deflection just over two minutes into the overtime to give Canada’s capital city the win. This series will come down to Price more than anything else. That sounds like a a given, since he’s been the best goaltender by far in the NHL, posting an NHL-best 44 wins to go along with a league-leading 1.96 goals against and .933 save percentage. But as much as the Hart Trophy favorite’s play is a factor, his health (maybe luck?) will be even more of a factor. As mentioned prior, Price was injured in that Senators series and did not return for the rest of the series, something that plagued him once again last year, as he was injured after a collision with New York Rangers forward Chris Kreider in Game 1 of the Eastern Conference Finals – a series the Rangers ended up winning in six. Unfortunately for Les Habitants, the injury bug took a big bite out of the team’s best skater and leading scorer, leading scorer Max Pacioretty. Just like Chicago star Patrick Kane, “Patches” was also hurt in a game against the Florida Panthers, this time on April 5. He’s been ruled out for Game 1, but coach Michel Therrien hasn’t ruled him out for coming back in Game 2. Max took his limitless potential and turned it into a career year, scoring 37 goals and tying for the league lead in plus/minus (+38). Without Pacioretty, the Habs will have to rely on its very productive forward depth, namely Lars Eller, Alex Galchenyuk and two-way forward Tomas Plekanec. Somehow, we almost went through talking about the Canadiens without P.K. Subban, the player the rest of the league loves – to hate. As maddening as he can be with his inconsistent play despite his immense talent, Subban became a rock on the back line this season. He posted a career-best 15 goals while turning around his plus/minus from minus-4 last season to plus-21 this campaign. Usually when the Canadiens are in a playoff series, Subban raises his game to another level. The boos from opposing fans also get raised another level as a result. Price might be the Vezina and Hart winner this season, but there’s a good chance that he’s not ever the most in-form goaltender in this series, as Andrew Hammond has taken the hockey and sports world by storm in the past two months. The Hambuglar has been stealing wins left and right, to the tune of a eye-popping 20-1-2 record as he led the Senators to one of the most remarkable finishing stretches of any team in NHL history to make the postseason. (Ottawa went 23-4-4 in its last 31 games.) Along with the play of Hammond, two rookies helped to carry Ottawa to where they stand now. Mark Stone and Mike Hoffman were two of the top four scoring rookies in the league, and Stone especially turned it up late. 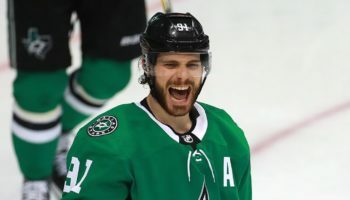 The only player to score more points in the last two months of the season other than Stone was Art Ross Trophy winner Jamie Benn. Ottawa should get even more of a boost with the return of Milan Michalek from injury. Michalek, used to playoff wars during his time with the Sharks, helps to provide experience to blend in with all of the youth in the capital city. ALOST’s Prediction: This might be the hardest series to call, with the utter dominance of Price going up against The Hamburglar and a streaking Ottawa team. If the Canadiens are to snap its longest Stanley Cup drought in franchise history, there’s no time like the present with the team they’ve assembled and the season they have had. Canadiens by a nose, even though I dearly wish for The Hamburglar to get more air time! Given that the Detroit Red Wings had spent so many years in the Campbell/Western Conference, and the Tampa Bay Lightning have spent only so many years existing as an NHL franchise (first year in 1992-93), these teams will have to create their own instant classic of a matchup when they square off for the first time in the playoffs on Thursday. Who isn’t excited for the Steve Yzerman Bowl? If what he built last season was somewhat of a fluke, the Tampa Bay Lightning producing another 100-point-plus season is a testament to the amazing job the current general manager (and Hall-of-Fame Red Wings great) has done in the Sunshine State. Yzerman is hoping that luck is with his team (Bolts, not Wings) this season, as the Lightning were dealt a blow during last year’s playoff when goaltender Ben Bishop suffered an injury, which in large part led to Tampa Bay getting swept in the first round by the Montréal Canadiens. Bishop came back with a vengeance this season, posting his first 40-win campaign, and, more importantly, going into the playoffs with confidence and a clean bill of health. Superstar center man Steven Stamkos scored 43 goals despite getting a whole lot of attention from opponents’ best checking lines, and he’ll sure be getting the business from future Hall-of-Fame two-way players Pavel Datsyuk and Henrik Zetterberg. 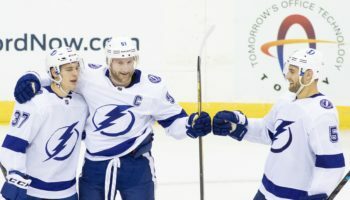 Taking off some of the pressure on Stamkos this season has been the play of the “triplets” – Tyler Johnson, Ondrej Palat and Nikita Kucherov. Their nickname came about from head coach Jon Cooper, who said that the synergy and understanding amongst them on the ice is so outstanding that it seems as if they’re actual triplets. If Stamkos’s line isn’t producing, the Lightning can bet on “the triplets” continuing their outstanding play. Whether it be the Stamkos line or “the triplets,” Detroit has the forwards, specifically Datsyuk and Zetterberg, to shut down any prolific line combination. The reason the Red Wings were able to make the Stanley Cup Playoffs for a 24th consecutive year was head coach Mike Babcock being able to blend in that experience with youthful talent to create a good enough chemistry to carry the Wings to the postseason. As highlighted in our interview with NHL insider EJ Hradek during the offseason, Detroit was looked upon as a team that didn’t do enough to address their needs in the offseason, specifically not acquiring a right-handed shooting defenseman. At the deadline, not only did the Wings do just that, they got a player who has recently played his best hockey during a deep playoff run, Marek Zidlicky. In 2012, Zidlicky was the offensive-minded engine on the blue line for a New Jersey Devils team that made it all the way to the Stanley Cup Finals. ALOST’s Prediction: The questions in goal for Detroit were answered, for the time being, with Babcock naming Petr Mrazek in goal over Jimmy Howard to start Game 1. After over 20 years of relative dominance, it’s odd to associate the Red Wings as decided underdogs in a series, given the experience on the ice and behind the bench. There’s a small part of me that wants to go against the grain and trust Detroit’s pedigree. Alas, there’s a large part of me that thinks Tampa Bay puts it on Hockeytown real good. I know, I know: how could I not pick last season’s match-up, in which the Rangers rallied from a 3-1 deficit to pull out the series? 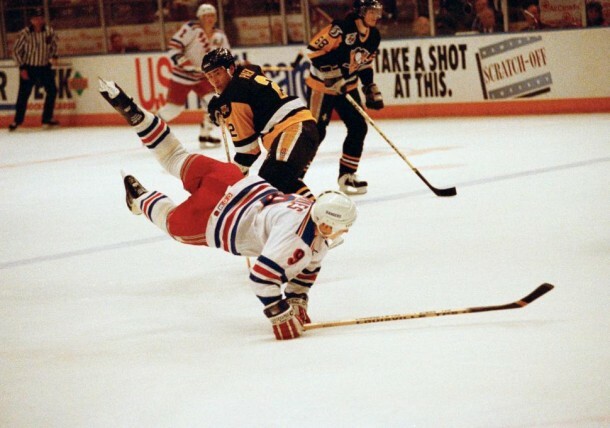 Well, just like this season, the Rangers faced the Penguins in the 1992 playoffs on the heels of a Presidents’ Trophy-winning campaign. After a tough seven-game series win against the Devils in the division semifinals, the Blueshirts seemed to get a break – literally – when Mario Lemieux broke his hand after being slashed by Adam Graves during Game 2 of the series at Madison Square Garden. The Rangers won that game and the following one in The Igloo to take a 2-1 series lead. But the Penguins, without Lemieux for the rest of the series after his injury, showed their Stanley Cup resolve. Remarkably, that Game 3 loss would prove to be the last loss Pittsburgh would incur the rest of the postseason, as the Penguins, led by Ron Francis and Jaromir Jagr in the absence of Super Mario, won each of the next three games to close out the Blueshirts. Lemieux returned in Game 2 of the conference finals as Pittsburgh would go on to sweep the Boston Bruins in that Wales Conference Final, then sweep the Chicago Blackhawks in the Stanley Cup Final to repeat as champions. It’s obvious to regular viewers of the Rangers that this team is more than ready to hoist Lord Stanley aloft for the first time in 21 years, and last season’s team was only three wins away from doing just that. To go along with his outstanding defensive play during last season’s run to the Cup Finals, Rick Nash played like the dominant winger on offense that New York expected after acquiring him from Columbus a few years back. Derick Brassard centers Nash, and he and Mats Zuccarello combine with Nash to form one of the best top lines in the game. Dominic Moore’s return to New York the past couple of years has been nothing short of a story of tragedy and triumph, and he’s emerged as the league’s best fourth-line center. Defensively, what’s not to love, with Ryan McDonagh, Dan Boyle and trade deadline acquisition Keith Yandle being three of the best puck-moving defensemen in the game. Head coach Alain Vigneault has quickly thrown the plodding, “shot-blocking-en masse” era of John Tortorella into the fireplace, as the Rangers not only attack with blinding speed, but do so while rolling over four lines and all three defense pairings to make sure the whole team is fresh enough to wear opponents down from start to finish. Speaking of fresh, that’s what goaltender Henrik Lundqvist is after coming back from missing 21 games during the second half of the season. Yes, his “rest” came after having a slap shot strike him flush on the neck, but the workhorse can go into a Stanley Cup Playoff without the burden of 65-plus games for the first time in a long while. Arguably, the team’s MVP, with so many options to choose from, could be backup goaltender Cam Talbot, who held down the fort and then some in Lundqvist’s absence. It’s not inconceivable to think that, if Lundqvist somehow falters in a couple of games, that Talbot could be put in to give the Blueshirts a spark. Here’s a trivia question for you: which goaltender led the National Hockey League in shutouts in the regular season, with 10 such games? Lundqvist? Price? Rinne? Dubnyk? No, no, no and no. Well, it can’t be Marc-Andre Fleury! 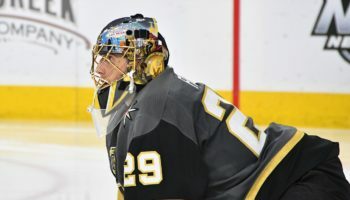 The term much-maligned would actually be an understatement to describe the yearly playoff scrutiny that comes the way of Fleury – and it’s deserved. 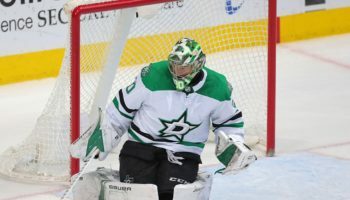 Last season’s playoffs was the first time since he won the Stanley Cup in 2009 that he posted a playoff save percentage of over 90 percent. While the questions about Fleury are bound to come, it has to be pointed out that, for this season, Fleury has been the team’s best player, as the usually high-scoring Penguins went though a season-long outage, to their usual high standards, and relied on Fleury to win a lot of games in which the Penguins offense wasn’t firing. Fleury responded, and continuing in that vain of form will turn the Penguins into a playoff sleeper. Probably the biggest question going into this playoff season for the Penguins is whether to play both Sidney Crosby and Evgeni Malkin on the same line given the Penguins scoring concerns. It’s not the first time Pittsburgh has had that concern due to a misfiring offense (just take a look back at what the Boston Bruins did to them in the 2013 Eastern Conference Finals). It’s incumbent upon players like Chris Kunitz and deadline acquisition Daniel Winnik to take the pressure off the dynamic duo, especially with the injuries to the defense the Penguins have amassed all season long. Obviously, when thinking about the Islanders and Capitals in the playoffs, thoughts turn to Pat LaFontaine’s game and series-winning goal in the fourth overtime of Game 7 of the Patrick Division semifinals at the old Capital Centre. But lost in the Easter Epic (the game started on a Saturday, but didn’t end until the next morning, which happened to be Easter Sunday) is that New York had become the first team since the 1975 Islanders to win a series after being down 3-1 in the series. That ending was memorable for all the right reasons, but the ending of the 1993 playoff series was ended in animosity, a separated shoulder to one of the Islanders’ star players and a then-unprecedented suspension. After Pierre Turgeon scored a goal to give the Islanders a 5-1 lead in the series-clinching Game 6, Dale Hunter cut Turgeon’s celebration short by checking him into the boards well after the goal had been scored. A melee ensued, and Hunter was hit with a league-record 21-game suspension. Turgeon separated his shoulder and missed the entirety of the next series, which was the Islanders’ massive upset of the defending two-time Stanley Cup champion Pittsburgh Penguins. It’s a great thing to see the New York Islanders, an erstwhile NHL dynasty, being a force in the league once again, especially because a good number of the audience reading this may not actually have been alive the last time the Isles were, you know, actually really good. Why are the Islanders really good this season? Well, for one, they actually have a reliable goaltender, that being Jaroslav Halak. He once led the Canadiens to the Eastern Conference Finals in 2010, and this season, he set the franchise record for wins (38) and boosted a defense that had once been porous for so long. The defense unit was also boosted by the signings of former Stanley Cup winning defensemen Nick Leddy and Johnny Boychuk, who have added scoring punch and confidence along the back line. Along the front, the confidence is already in great supply when speaking about John Tavares. He scored a career-high 38 goals and was just pipped at the end for the Art Ross Trophy by Jamie Benn. Injuries and inconsistency slowed down Kyle Okposo, but he was picked up by his fellow forwards, including a surprising season by Anders Lee, who put in 25 goals. What can be said about Alexander Ovechkin that hasn’t been said already? We won’t start trying to come up with new superlatives at this moment, but just know that his 53-goal season put him in this elite company as players who have scored 50 goals in six NHL seasons: Mike Bossy, Marcel Dionne, Wayne Gretzky, Guy Lafleur and Mario Lemieux. But it’s not as if he hasn’t had support, as longtime line mate Nicklas Backstrom has also had a season that’s ranked near or at his career best. If those two players are the team’s best, goaltender Braden Holtby isn’t too far behind. Winning 23 games in each of his past two seasons, Holtby increased that number to 41 in 2014-15. Much like the Islanders, the foundation of the Capitals’ success this season stems back from moves made in the offseason, with the lynchpin of those wheelings and dealings being the hiring of longtime Predators head coach Barry Trotz to the same position in D.C. After that, the Capitals raided the Penguins defense, signing both Matt Niskanen and Brooks Orpik in free agency to solidify the blue line. Just for safe measure, the Caps then acquired talented Tim Gleason at the deadline from the Carolina Hurricanes. 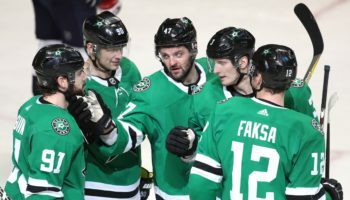 Both the defense and the forward lines are as deep as the team has seen in years, and has turned a perennial playoff team into one that can make its first conference finals appearance since their Cinderella run to the Stanley Cup Finals all the way back in 1998. ALOST’s Prediction: Although the Capitals have made the Stanley Cup Playoffs in seven of the past eight seasons, they have not advanced to the Eastern Conference Finals in any of those appearances. The Islanders limped into the playoffs, letting a golden chance at home ice in this series slip after losing their final regular season game at Nassau Coliseum in a shootout against Columbus. We think the Islanders still have the magic in the final season on Long Island, so we’ll pull the trigger on an all-New York Metropolitan Division Final.